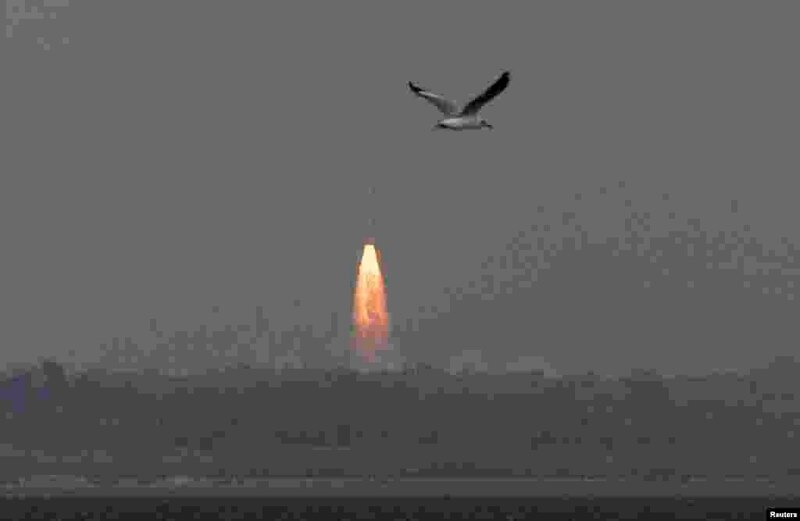 1 India's Polar Satellite Launch Vehicle, carrying the Mars orbiter, lifts off from Sriharikota, Nov. 5, 2013. 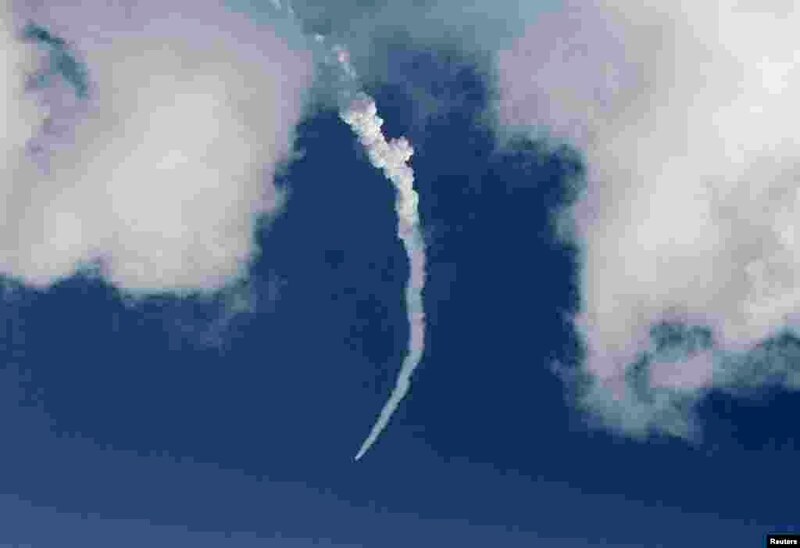 2 India's Polar Satellite Launch Vehicle, carrying the Mars orbiter, blasts off from Sriharikota, Nov. 5, 2013. 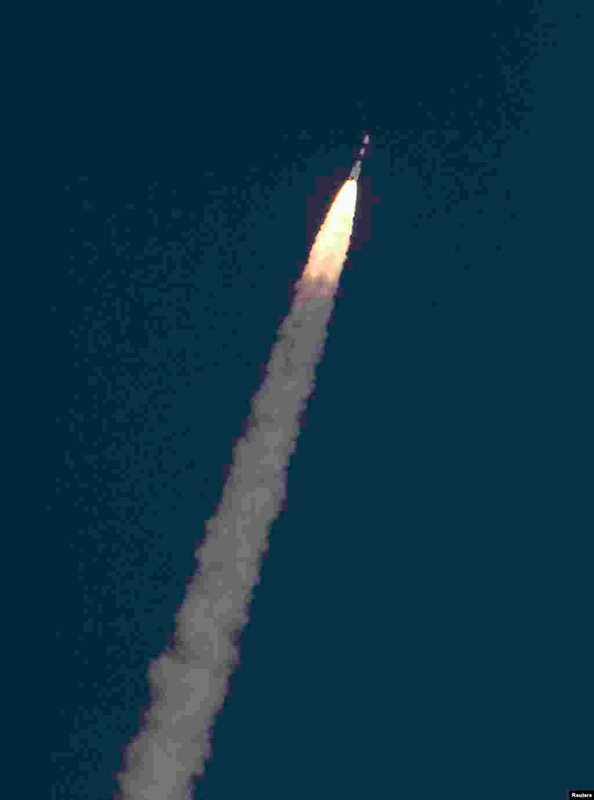 3 India's Polar Satellite Launch Vehicle, carrying the Mars orbiter, blasts off from Sriharikota, Nov. 5, 2013. 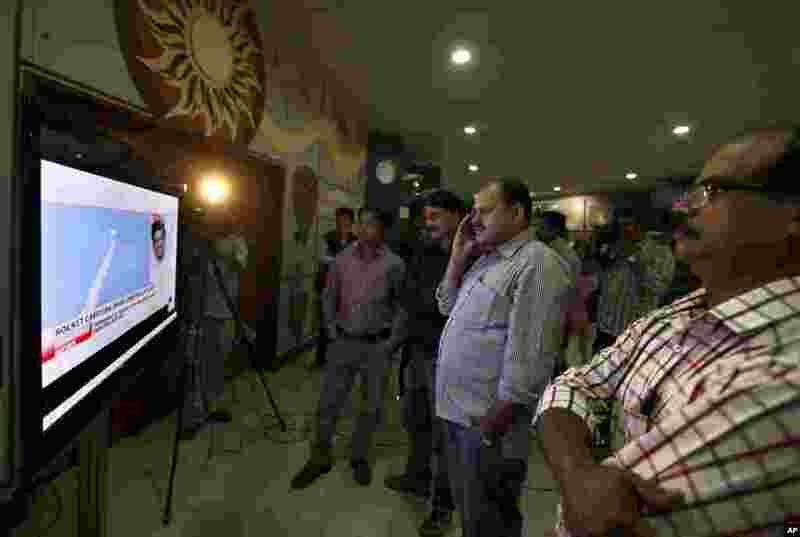 4 People watch the live telecast of the launch of Polar Satellite Launch Vehicle rocket carrying India's Mars spacecraft, New Delhi, Nov. 5, 2013.